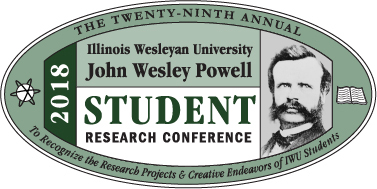 Digital Commons @ IWU - John Wesley Powell Student Research Conference: Student Choice is Lit! This study investigates assessments that offer student choice in a secondary English classroom. After reading a short story or novel, assessments traditionally ask students to find themes or answer a question with evidence from the text. While this system promotes close reading and writing skills, unique interpretations are not represented. In response to this, I compared the traditional process to a student choice assessment. I administered a single question literary analysis based on The Necklace written by Guy de Maupassant to gauge student understanding and writing skills without student choice present. After the following unit, I created a new assessment that allowed for students to choose an open-ended question with multiple correct interpretations possibilities. The second assessment was based on George Orwell’s Animal Farm. This study looks closely at student work samples, field notes, and a review of current research. Students need practice interpreting texts individually. Without this practice, students will depend on teachers to determine the meaning and significance of literary works.